While the Moroccan education minister ruled out the possibility of English taking prevalence over French in Morocco any time soon, he gave it importance in London. Moroccan Minister of Education Said Amzazi and British Minister of State for the Middle East Alistair Burt. 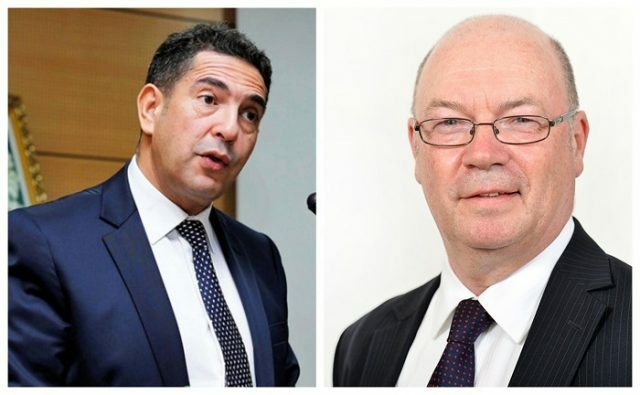 Rabat – During the World Education Forum in London on January 21, Moroccan Minister of Education Said Amzazi and British Minister of State for the Middle East Alistair Burt discussed the training of Moroccan teachers in the English language. Amzazi and Burt discussed how to train Moroccan teachers in the English language, especially teachers of scientific disciplines such as mathematics, physics, and chemistry, Amzazi told Maghreb Arab Press (MAP). The director of the British Council in Morocco, John Mitchell, and Moroccan Secretary of State for Vocational Training Mohamed Rherras both attended the meeting. Mitchell, according to MAP, confirmed that the British Council will soon start a language training project to teach English to science teachers who teach in Arabic. Mitchell expects Morocco will adopt a new law on teaching scientific subjects in foreign languages. Amzazi told MAP that three projects will take place in the near future as part of the education cooperation between Morocco and the UK. The first project will establish an English language training program for 20,000 teachers of non-linguistic subjects. The second project will increase the teaching of English in Morocco, especially after the opening of the first British school in Marrakech, scheduled for September this year. For the third project, Amzazi said, presidents of Moroccan universities will visit the UK to update “conventions signed by their predecessors” with British universities. 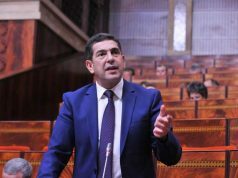 Commenting on Morocco’s presence in the three-day forum, Amzazi said it is “very important for the [education] sector” because it gives ministers the opportunity to debate education. The forum, which is the world’s largest gathering of education and skills ministers, will “help place the Moroccan national system at the heart of major international reform projects,” he added. The forum brought together 1,263 international delegates from 95 countries to discuss education policy and challenges. “Everyone knows that science books are currently available in English more than French, and in French more than Arabic. But we teach in the French language,” Amzazi said during a press conference last week in Rabat. Minister Burt had the same view, stressing the need to offer Moroccan students the opportunity to study in the UK and encourage academic exchanges between the two countries. 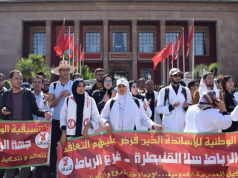 Apart from the debate on English status in Morocco, the North African country’s English proficiency is considered “very low” despite growing interest that Moroccan youth have shown in English rather than French. Education First’s 2018 English Proficiency Index (EF EPI) ranked Morocco 60th out of 88 countries with a score of 48.10. “Although most of them seem to speak English fluently and to be digitally literate, they have severe deficiencies in academic skills, especially in reading, writing, analyzing, and synthesizing,” Belhiah explained last week. 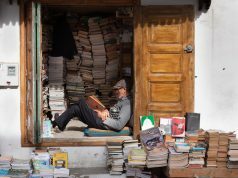 For Mohamed Bakkas, an English language teaching supervisor at the Ministry of Education, the low proficiency level of English in Morocco is due to lack of listening activities. “The Moroccan educational system is exam-oriented. Since listening is not included in the national exam, it’s not given much importance in the teaching of English,” Bakkas told MWN in November last year. If compared to French, the English language does not receive assiduous attention from the Moroccan government. Unlike Arabic and French, English is not used in Moroccan government media, especially on television and radio. Maghreb Arab Press (MAP), the state-owned news agency, occasionally publishes some news in English online. 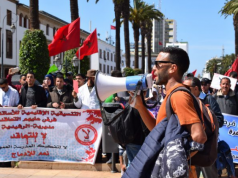 The inattention lowers the status of English in Morocco, even though the language is deemed the language of globalization and international communication.